مصرف آسپیرین و دیگر داروهای غیر استروییدی برای مقابله با سرطان مفید است. 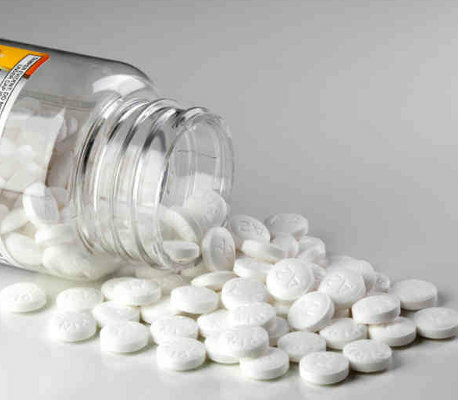 Aspirin and other similar non-steroidal anti-inflammatory drugs could help fight cancer, a new study published in the latest issue of the journal PLOS Genetics says. Specialists Carlo Maley explains that, as several experiments have shown, these drugs could prevent the onset of cancer by putting a leash on the built up of DNA mutations inside abnormal cells. “Aspirin and other non-steroidal anti-inflammatory drugs, which are commonly available and cost-effective medications, may exert cancer-preventing effects by lowering mutation rates,” Carlo Maley reportedly explained. Carol Maley suspects that aspirin and other similar drugs lower mutation rates because they reduce inflammation. He says that several other studies have shown that inflammation and cancer go hand in hand, which is why his claims might not be that far-fetched. By limiting and preventing inflammation, aspirin is likely to curb the production of oxidants that trigger DNA damage.